On January 27, 1785, a charter was approved by the Georgia legislature for the first publicly-supported state university in America. The Supreme Court of Georgia held its first meeting on January 26, 1846 at Talbotton, Georgia. John Sammons Bell was born on January 26, 1914 in Macon, Georgia. He would go on to serve as Chairman of the Democratic Party of Georgia, as a Judge on the Georgia Court of Appeals, and as chief judge of the appellate court. He is today best known as the designer of the state flag featuring the Confederate battle flag, which was adopted by the General Assembly in 1956. 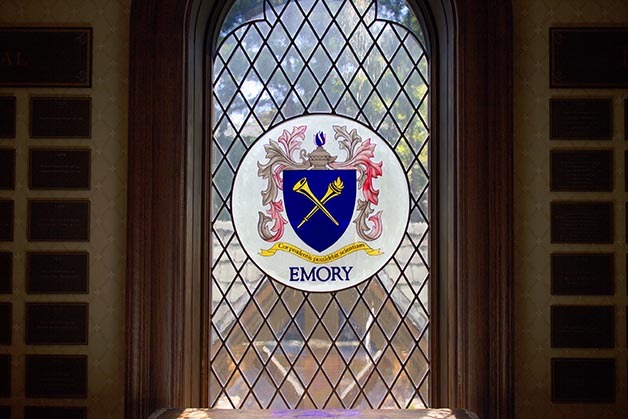 On January 25, 1915, a charter was issued in DeKalb County Superior Court to Emory University. On January 27, 1941, Delta Air Lines announced it would move its headquarters from Monroe, Louisiana to Atlanta, Georgia. It was an interesting case of public-money-fueled economic development. In 1940, the city of Atlanta and Delta had signed an agreement whereby the city agreed to contribute $50,000 for construction of a new hanger and office building for Delta if it would move its headquarters to Atlanta. In turn, Delta agreed to pay the remaining construction costs and then assume a 20-year lease for the new facilities. On Jan. 16, 1941, Delta had secured a $500,000 loan from Atlanta’s Trust Company of Georgia, thus allowing it to make a public announcement of the move. On January 25, 1943, Georgia Gov. Ellis Arnall signed legislation eliminating the governor as an ex officio member of the State Board of Education, State Board of Regents, Department of Public Safety, and State Housing Authority, as part of a proposal to reduce the Governor’s power over education. On January 27, 1965, the Shelby GT 350 was unveiled. Otis Redding’s “Dock of the Bay” was released on January 27, 1965, seven weeks after his death. On January 26, 2001 a new state flag, first designed by Atlanta architect Cecil Alexander, passed out of committee in the General Assembly by a 4-3 vote and would be voted on later that week. Click here to view the floor debate from 2001. The 39,500-square-foot laboratory facility, which opened in January 2015 at the Gateway Industrial Centre business park off Ga. 365 in North Hall County, monitors and tests for diseases, such as avian influenza, and inspects hatcheries to ensure the state’s poultry flock is healthy for consumption. In an interview with The Times on Thursday, Black said the public is not in danger. “The poultry lab plays an integral part in protecting the No. 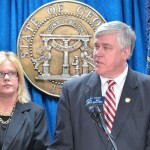 1 industry in Georgia,” Miller said, adding that making the fixes is an important item to the governor and legislature. Former Augusta commissioner Bernard Harper has joined four other candidates in the special election for Augusta Commission District 5, according to the Augusta Chronicle. Harper joins retired Richmond County educator Bobby Williams, small business owner Kelby Walker and interim Commissioner Johnny Few, all of whom qualified Wednesday. The winner will serve out the term of Commissioner Andrew Jefferson, who died in November. Augusta hosted coroners from across Georgia for training, according to the Augusta Chronicle. For the past 10 years, the Richmond County Coroner’s Office and Donor Services at AU Medical Center have played host to the service to educate coroners and build a working relationship with other counties. Richmond County Coroner Mark Bowen said the service provides continuing education credits for coroners and firefighters, but does not take the place of the 24-hour training class required by the state that is typically held in August. Coroners from about 20 counties were at the training, which spans two days. Speakers included Rae Wooten, coroner for Charleston County in South Carolina, and representatives of the Southern Police Benevolent Association and the Georgia State Patrol. Topics included how to handle mass fatalities, traffic incident management, and addiction among public safety officers. Augusta is conducting a point-in-time study of their homeless population, according to the Augusta Chronicle. For a third day Thursday, government workers and volunteers looked behind shopping centers and abandoned buildings, under bridges and in parks and campgrounds to find and count Augusta’s homeless population. “The message we want to get across is that this is not just a county initiative. We want this count and what we’re bringing to it this year to spark further conversations about how we go about eradicating this epidemic of homelessness,” said Hawthorne Welcher, head of the city Housing and Development department, which leads Augusta’s role in the count. The national “Point-in-Time Count” of the homeless has for about two decades attempted to obtain an accurate, unduplicated count of homeless people in an area. The city has typically done its count during a single night, but this year is going out for five days to reach as many “unsheltered” homeless – those living on the street – as possible, Welcher said. The group surveyed between 220 and 230 on its first night, Tuesday, and Welcher said he expects the count to easily double last year’s of around 800 when they finish Saturday. Gwinnett County will conduct its own point-in-time count of homeless people, according to the AJC. The Gwinnett Coalition for Health and Human Services is leading the effort on the point-in-time count, which is conducted with 70 different agencies and hundreds of volunteers every two years. More than 600 volunteers will be dispatched to all corners of Gwinnett County from Jan. 28 to Jan. 31. Homeless population counts are regularly conducted by cities and counties across the country in order to assess who makes up that population and what they need, said Keith Fenton, the Gwinnett Coalition’s chief operating officer. “This will help us understand how many are homeless, why are they homeless and what the circumstances are that led them to be homeless,” Fenton said. Putting a number on the homeless population in Gwinnett County is difficult, Fenton said. The last point-in-time count, conducted in January 2017, counted 263 homeless people, according to the Georgia Department of Community Affairs. But even with hundreds of volunteers over multiple days, it’s extremely difficult to get a full count of the homeless population, Fenton said. “Nobody really knows the exact numbers of homelessness in Gwinnett County,” he said. This year’s overall grade was a C+ in the group’s 2019 Report Card for Georgia’s Infrastructure, which was released this week. That’s up only slightly from a C in 2014, when the group last graded the state. Dan Agramonte, who co-chaired the report card committee, said it will take time to fully measure the impact of some changes, such as the 2015 transportation measure that boosted state funding. His group acknowledged the strides made in recent years, such as a push for regional transit in metro Atlanta, an expanding Savannah port, the hiring of more dam inspectors and the new funding for roads and bridges. “These achievements acknowledge that infrastructure is not a political issue,” Agramonte said. 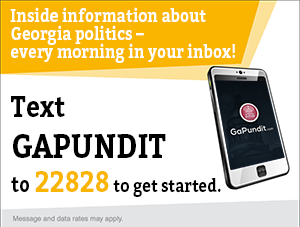 “It’s a Georgia issue, impacting our state’s commerce and economic growth and quality of life. Housing for homeless Georgians may be jeopardized by the federal government shutdown, according to the Valdosta Daily Times. Much of the Valdosta Housing Authority’s funding comes from federal sources, said Mark Stalvey, VHA’s executive director. “We’re getting updates on the situation twice a week, not from (the Department of Housing and Urban Development) but from industry groups,” he said. HUD’s website says the department is completely shut down pending the outcome of the squabble between President Donald Trump and Congress over money for his proposed Mexican border wall. The local housing authority operates 542 apartments and homes for about 1,700 people in Valdosta, including the Ora Lee West and Hudson Dockett properties, with tenants paying about 30 percent of their income for rent, Stalvey said. Rent levels are determined on a sliding scale according to income. Tolling the Torras Causeway to St Simons Island doesn’t appear to enjoy broad support among Glynn County Commissioners, according to The Brunswick News. Savannah is seeking state funding to widen streets, according to the Savannah Morning News. Members of the Savannah City Council and city staff were in Atlanta on Thursday to speak with lawmakers and state officials about the issue, as well as other priorities they would like to see addressed during this year’s legislative session. Mayor Eddie DeLoach said the city manager was attempting to work out a compromise with state officials while at the Capitol regarding the extension project, which runs through portions of Savannah and Port Wentworth in the upper northwest corner of Chatham County. The Georgia Film Academy and Savannah Technical College are working to prepare students for jobs in the film and video industry, according to the Savannah Morning News. An “Asthma Van” is bringing healthcare closer to some needy children, according to Georgia Health News. Aaron gets regular check-ups from the Children’s Healthcare of Atlanta medical staff in the Care Mobile van, provided by the Ronald McDonald House in partnership with the Atlanta pediatric system. The 40-foot-long van, which targets children with asthma, also visits other Atlanta public schools. A public forum in Gainesville discussed non-opioid pain management to fight opioid addiction, according to the Gainesville Times. Jeffrey Gay Jr. died in 2012 from an opioid overdose, and his grandfather Dallas Gay has become a staunch opioid safety advocate in the community. Dallas Gay took the stage following Paglia to discuss opioids as the “greatest man-made health care crisis.” The number of drug overdose deaths from 1999-2017 is more than 700,000, a death count greater than the Civil War. The death count, however, is only one number that does not portray the depth of the epidemic, Gay said. “Shame on you, shame on me, shame on our nation if we let this horrible epidemic pass down to our children and grandchildren simply because we didn’t have the will to change it,” he said. Northwest Georgia food banks are seeing increased demand during the federal government shutdown, according to the Rome News Tribune. In Polk County there’s been a definite increase in requests for assistance at Helping Hands Food Pantry, although the director, Betty Cornwell, said they’re not tracking the reasons. Cornwell said they’re hoping the federal government will reopen and restore SNAP funding by the time the March payment is due. The Georgia Mountain Food Bank will supply furloughed federal employees today, according to AccessWDUN. The government closure has already begun to affect individuals who aren’t federal employees, according to a GMFB news release, and GMFB officials are concerned about the long-term effects this may have on the communities they serve. Those who have been negatively impacted by the shutdown can collect food free of charge Friday at St. John Baptist Church on E.E. Butler Parkway in Gainesville from 3:30-5:30. For a complete list of GMFB’s feeding partners and programs in Dawson, Forsyth, Hall, Lumpkin and Union counties, visit gamountainfoodbank.org/who-we-feed/ or call (770) 534-4111. The Augusta Chronicle looks at how the federal government shutdown is affecting some local residents. Though the federal government has been shut down several times during Tucker’s tenure at the prison, he said none have affected his pay like this one. Shann Coleman is the manager of Jet’s Bar and Grill in Edgefield. He said many of his customers are employees at the federal prison, and his restaurant is seeing the effects of the shutdown.